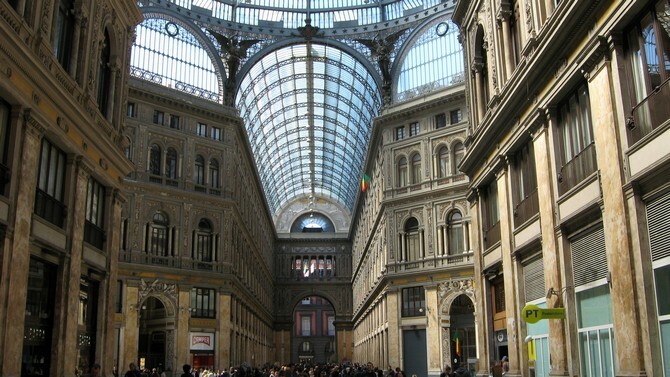 Shopping in the historic centre of Naples is an exiting experience! It offers numerous places to go shopping, primarily for crafts, antiques, and souvenirs. Particularly beautiful is the ceramic ware in bright colours and the handmade nativity figurines. Handicraft has a long tradition in Campania and is still an important economic factor. In the Via San Sebastiano across the Monastero di Santa Chiara you can find many music stores that sell amongst others mandolins, because the conservatory is close by. 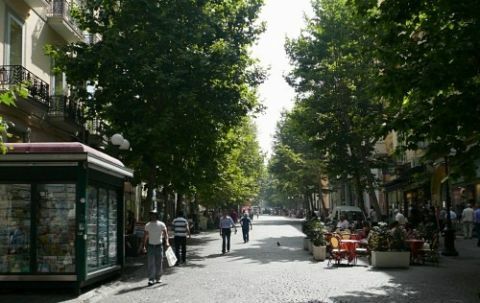 Also nearby in the historic centre is the street of the booksellers, Via Port’ Alba, with stores and booths offering antique books about the Naples of the past. 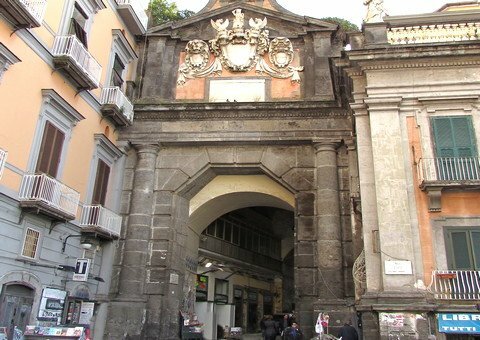 Naples is famous for its wonderful nativity scenes. 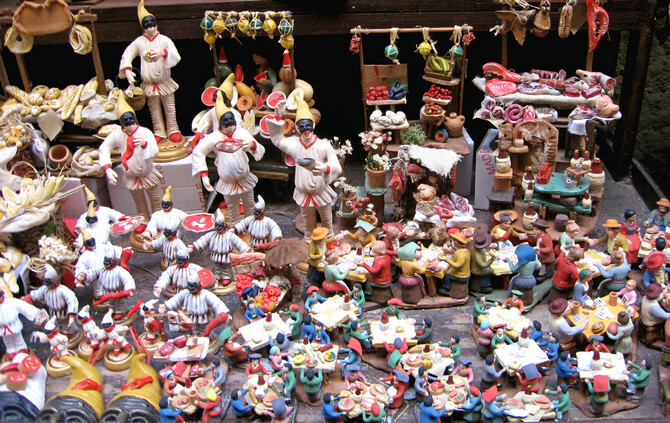 You should definitely visit the Via San Gregorio Armeno, the street of the nativity scene makers. During Christmastime, more than half a million tourists come to see the crib shops with the original miniature figurines. However, they are open all year round and you can take your time and have a look around after New Year’s. The store at number 42 is especially well known for its copies of famous politicians (Pastori dalle Mani Pulite). 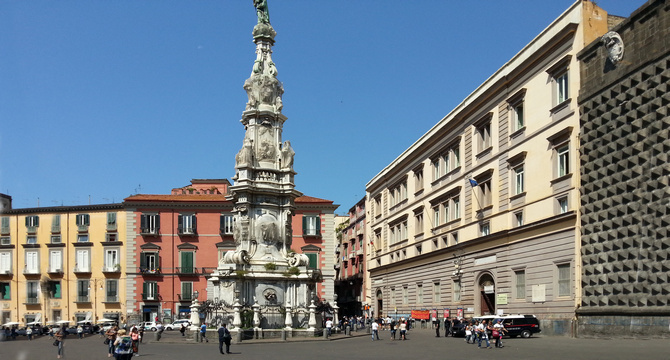 Worth seeing are also the creative booths along Spaccanapoli, from Via Benedetto Croce up to the Piazza San Domenico. Not only can you have your fortune told from Tarot cards; you can also buy poems, local delicacies, and photos of actors and sports idols. Sometimes, Neapolitan artists go there to sing their folk songs. 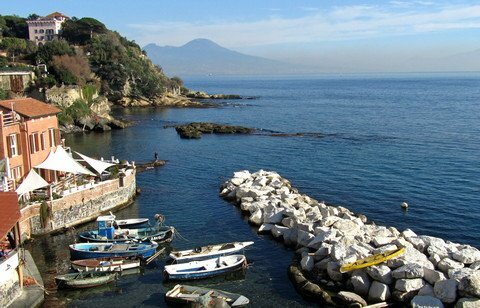 Even if you don’t have that much money to spend, you have a choice of countless souvenirs of the Gulf of Naples. During the city’s renaissance in the 90s, people came up with many new creative souvenirs.